Who to believe? New DS this year or not? We know one thing for sure - there's plenty of cheap talk suggesting Nintendo will unveil a new version of its blockbusting DS Lite at this year's E3 event. But the only people who really know have said nada. The rumour originated at Bloomberg Japan, but quickly gained steam across the globe. 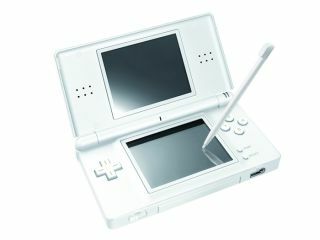 According to the report, Nintendo is poised to release an upgraded DS in July and gamers should expect a number of improvements. The report covered a Tokyo press conference given by Enterbrain president Hirokazu Hamamura, who said that he believes "there is the possibility" of a new DS being unveiled at Nintendo's press conference at the E3 Media & Business Summit. In the past, Nintendo has held its press conference on the morning before the start of the expo, which will begin on 15 July. Nintendo declined to comment on the rumour, but those that are close to the situation say that the new DS could sport a larger screen, a smaller case and even better multi-touch support. It's gotta happen sometime, right?